It was all about the PaleyFest at Hollywood’s Dolby Theatre last week. 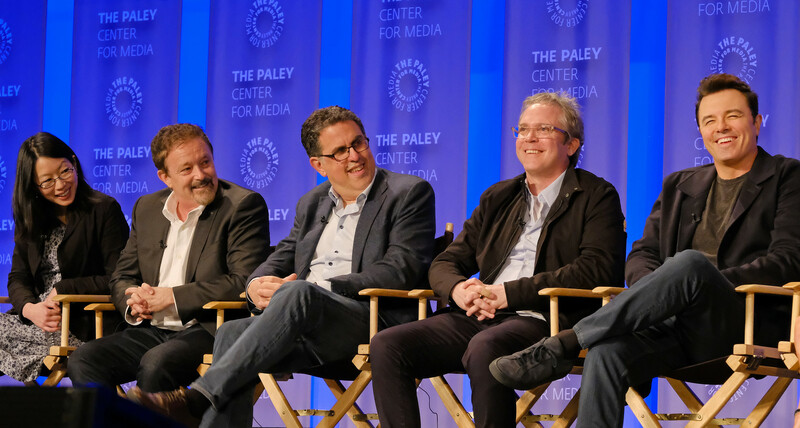 The Paley Center’s annual festival brought forth some of the top names to celebrate the best in television. The week-long festival kicked off with a tribute to Barbra Streisand and rolled out the red carpet for the likes of Will and Grace, Stranger Things and the Orville. I was thrilled to spend my St. Patrick’s Day afternoon with Seth MacFarlane and the cast and creatives behind his hit sci-fi series, the Orville. While certainly most beloved for Family Guy and the Ted movies, the Orville finds MacFarlane channeling his inner Gene Roddenbury. As my husband has made me a Trekkie, I was skeptical when he first put on the Orville a few months back. I envisioned a spoof, parody, of a franchise I have come to love. What I discovered with the Orville is a clever show not afraid to push boundaries. To make the viewers think while not shying away from comedic moments and one liners we all can laugh at. Much like the sci-fi classics that have come before it. I was proven wrong as it’s in no way a take-off of any one series. The Orville can stand on it’s own. 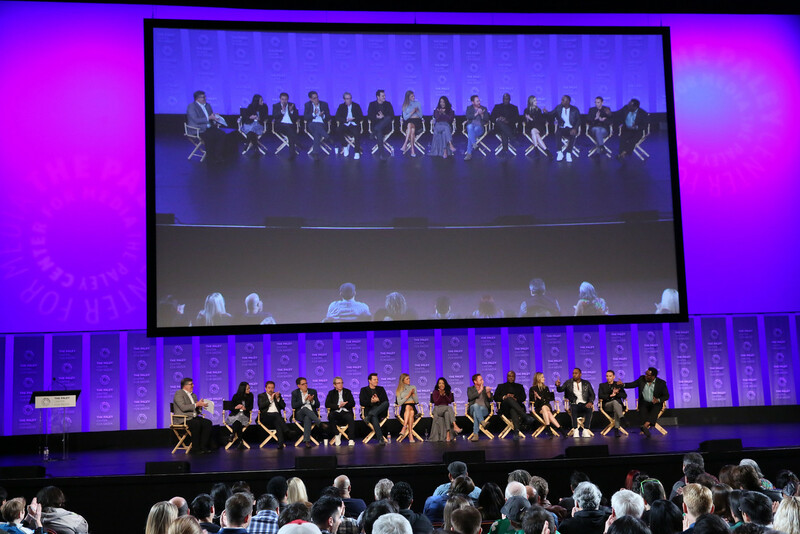 In attendance for the Orville afternoon at PaleyFest was the entire cast as well as Executive Producers Cherry Chevapravatdumrong, Jason Clark, David Goodman, Brannon Braga and Executive Producer, Writer and Creator, Seth MacFarlane, respectively. The latter could be one of the strongest episodes to date in the show. Lieutenant Commander Bortus (Peter Macon) plays a Moclan. Moclans are a single gender species that procreate by laying eggs. Yet, he and his partner hatch a baby girl. While the immediate instinct is to abort this perfectly healthy baby (since it’s looked on as a dreadful disability in the Moclans world), a heated fight on Captain Mercer’s part to keep this girl alive rises. Photo: Brian To for the Paley Center. The creative team. Photo: Brian To for the Paley Center. When the audience was invited to ask questions, I was pleased at the thoughtful ones proposed. One asked about holding the power of not only poking fun at pop-culture, but shaping it as we move forward and what does that mean? Penny Johnson Jerald gave a powerful answer. One that I think would have made her character, Dr. Clare Finn, proud. While I was hopeful to get the microphone brought over to me, a young woman who traveled all the way from the UK to be there, beat me to my question. We were interested about Captain Mercer’s obsession with Kermit the Frog. On the series, Ed keeps a small stuffed Kermit toy on his desk. MacFarlane’s answer could not have been more perfect. Those who know me well may know that I also LOVE the Great Muppet Caper! But, when asked about any details into season two of the Orville, we got a quick “nope!” from Seth. While I can understand the desire to stay mum, I was a bit disappointed. The PaleyFest is such a fantastic time to spotlight where your series is going. With deep plots and impressive guest stars thus far like Charlize Theron and Liam Neeson, I am sure we are in for a great trip back to the Orville this Fall.